First things first. Simone Gertz, get well soon. We miss you. Everyone else, please do what you can to show support for Simone Gertz and Naomi "SexyCyborg" Wu. The world and especially the internet need more Women like these wonderful, intelligent and inspiring ladies. This is a post that I typed last night while under the effects of a bottle of wine and a unique concoction I made with fresh puréd strawberries, water and gin. It was very good, perhaps even too good. Fortunately I felt pretty good when I woke up today. I'm on a ketogenic diet right now, trying to lose a bit of belly fat and love handles. I'm fairly thin as it is, but thanks to a lack of physical activity I've been accumulating some of my food around my waist. So I thought its time to do something about it. A lot harder than it sounds especially when you're 50 years old like myself. Ketogenics works wonders though and isn't a really complicated way of dieting. You essentially follow a few simple rules like <50 grams of carbohydrates in a day and no sugar or foods with sugar in them. The idea is that when you are not putting an energy source into your diet like carbohydrates or sugar, your body eventually runs out of "quick energy" and has to get it from somewhere to continue functioning. What happens at that point is that your body starts to covert body fat and a small bit of muscle into energy, by catabolism (the opposite of anabolism, the metabolic process that is used to build the fat and muscle tissue in the first place). During that time, all you eat is protein and fat, like chicken, fish etc while avoiding carbohydrates and sugar. A pretty simple diet. After a few days, your body will kick into "keto mode" and start mining energy from your body fat and muscle. The muscle is preserved by eating protein and having to digest the protein burns even more calories which in turn requires energy which comes from your body fat as it is broken down. Easy enough as long as you stick to the diet. I started it with a five day fast, eating nothing and only drinking water and tea for five days. I also did a purge of my colon that I'd rather not talk about, but suffice it to say that after the fast and the purge and while being on this diet, my body feels great. Better than I have in years. With any luck, I'll lose a bit of weight and go from 175 lbs down to 160 or 155 lbs. I'm hoping that I can be at least a little bit buff while I'm in my 50s. Alright, enough of that, now lets get onto other matters here. E3 is coming next weekend as I'm sure every gamer out there knows. What's getting released in around that time? Jurassic World: Evolution, by Frontier Developments is one of the first games on my list. In this game which is much like Sim City or Roller Coaster Tycoon, you build and run your very own Jurassic Park, stocked with dinosaurs as the main attractions. The Crew 2 by Ubisoft, is an open world driving/racing simulation that encompasses the entirety of the United States as the play world. You can literally drive from coast to coast visiting and racing within each of the details cities as you visit. Maybe we'll get a Canada DLC at some point in the future? Available for Uplay and Steam on PC and of course for XBox One and Playstation 4 consoles. Fallout 76 seems to be around the corner given the recent goose bump rending sneak peek trailer. Who's to say what it will encompass. One thing is certain. It will take place some time after world war three in the wastelands of a fictitious (I hope) post apocalyptic McCarthian United States, with the player struggling to survive on what's left. The player usually begins by emerging from one of many special vaults that were built to preserve and rebuild society after the nuclear apocalypse. 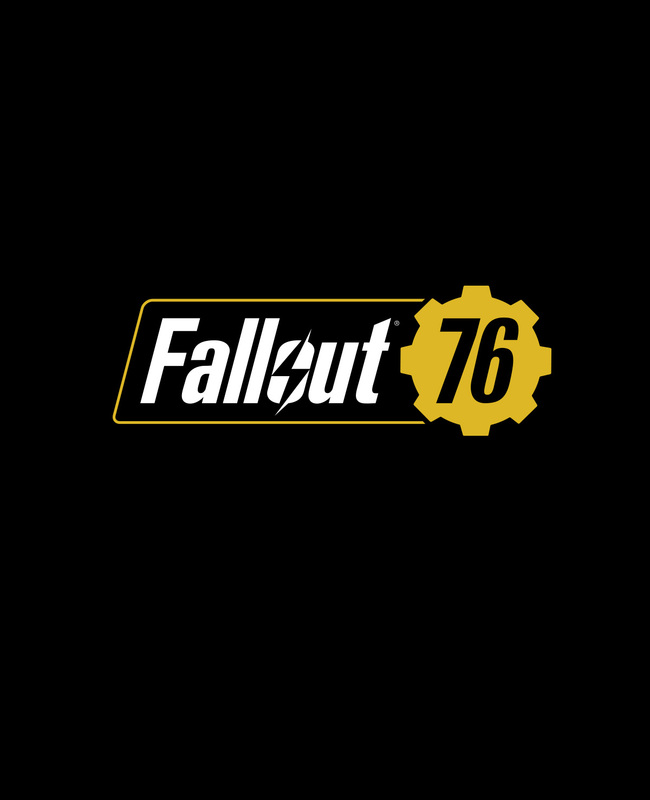 We can only assume that the 76 is likely a reference to the Vault number from which the player starts. I'd speculate further but there's plenty of other sites out there for that kind of thing. No release date has been announced. Mount And Blade II: Bannerlord by Taleworlds is something I'm looking forward to having been a fan of the original Mount And Blade game. In this game you take the role of a citizen of Calradia, a mythical medieval land populated by various dynasties who vie for control. As a citizen you can slowly raise your own army, take on missions given to you by the various factions of the land, you can trade in goods as a trader, hunt vagabonds and bandits or join their ranks by raiding and pillaging the various villages in Calradia. You can take prisoners and sell them into slavery in order to earn a living (which is probably a fitting fate if your prisoners happen to be murderers and bandits). You can marry yourself into Royalty or lay siege to one of the many castles that dot the land. Best of all you can do all of this from horseback. Hopefully I don't lose you in the first couple of paragraphs here. It does get better and as I said, I typed most of this next part after the bottle of wine. "In the haps may a melody to none other than the ears of those whose nostrils lack a heart for such expression. Without voice then do skunk kind speak with their scent?" Barris addressed her. "Whose lips spake of the yearnings of senses missed? I know nothing of what mine heart fails to fathom as much. Lust of the truth hath senses thrown mine afowl? Tell me my love, does it too have a smell?" returned Mila. Wait! Stop! Have I lost you? Stick with me here. It really does get better. Honest. The Butterfly Dragon II: What Different Eyes See will conclude shortly and continue on to The Butterfly Dragon III. I'll try to put in as much time to finish the current story soon. Butterfly Dragon III will focus on the origins of the Butterfly Dragon, Weltherwithsp and introduce the character Dragon Butterfly, who essentially is the antithesis of everything the Butterfly Dragon stands for. It will follow a completely new story line, with only the slightest of resemblance to the original Dragon Butterfly story line. A Lady's Prerogative: The Devil In Music will find a tempo that will in terms of its modality (Phrygian? Lydian? Super Locrian?) encompass the dynamics of counterpoint, music theory and more importantly music history. If you play music and like music theory, play hard. If you don't know anything about music theory but love music, play hard. We'll all meet in the middle for our love of music. You're not amiss if you insist that this may be poetic bliss for it is as much a Shakespearean kiss. Please endure as much, so as thine heart may find peace, rest around the corner awaits the weary. Silence speaks squalls of seldom sought sights so much as solace. 'Nuff said. So Shakespeare it is for the next A Lady's Prerogative story, Meanwhile if you are a musician and love music, you may want to read The Devil In Music. Though music theory is not required it certainly may help. Now I'll babble about something else. To Meaghan and Harry. I was always thinking so much of a romance like yours when I imagined Mila and Barris. Please if you could live up to it and I promise to do my part always for romance. I hope that every Queen or Princess may meet their Prince or King and share the responsibility of being united. Belief is the magic and science of life. Believe in something even if it is nothing. Most of all, believe in Romance. That might sound kind of wishy washy, but of what I speak most often just happens in life if you take the time to appreciate. Believe in cookies too, though not the kind you can't eat and metabolize. I haven't complied with the EU mandate with regard to cookies yet, but believe me it will come soon as I value my European readers as much as I do my readers from all parts of the world. Believe me that its not easy to deal with the cookie issue when your web master is Cookie Monster. He somehow has taken the whole anti-cookie stance personally. Super Grover even tried to talk some sense into him. Unfortunately Big Bird organized a coup against Kermit and has overthrown the puppet regime. The UN is currently mediating talks between all of the parties involved. 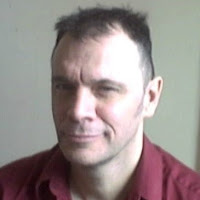 Fortunately Miss Piggy, Waldorf, Statler and Rowlf managed to negotiate a standing peace for the time being until Jim Henson, Gene Roddenberry, Lester B. Pearson, Mahatma Gandhi, Winston Churchill and Nelson Mandela can be cloned and resurrected. I see an Ed Wood Jr movie in the making here. Until then the US Marines and Canadian Armed Forces are working to contain the situation. Their arsenal? The best video games, health food, exercise and confidence that money can buy. There`s more to come.. a lot more.